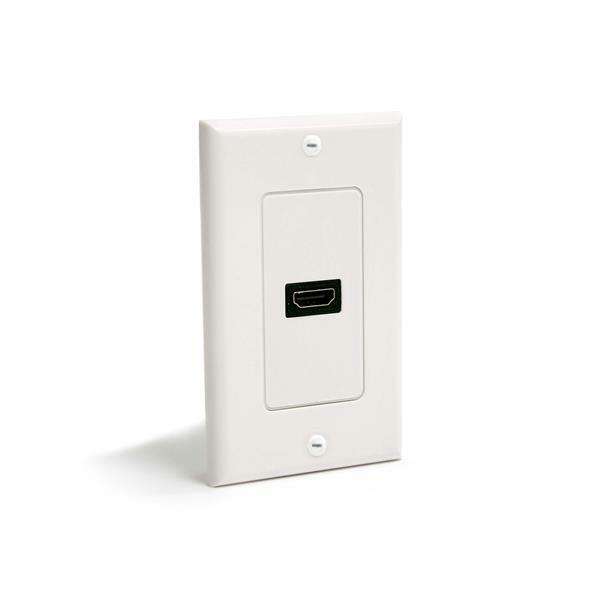 The HDMIPLATE professional-grade Single Outlet Female HDMI® Wall Plate offers an in-wall HDMI digital video receptacle that provides easy connections between a High Speed HDMI video output or Standard HDMI video output, and HDMI-equipped projectors, remote displays, or home theaters. 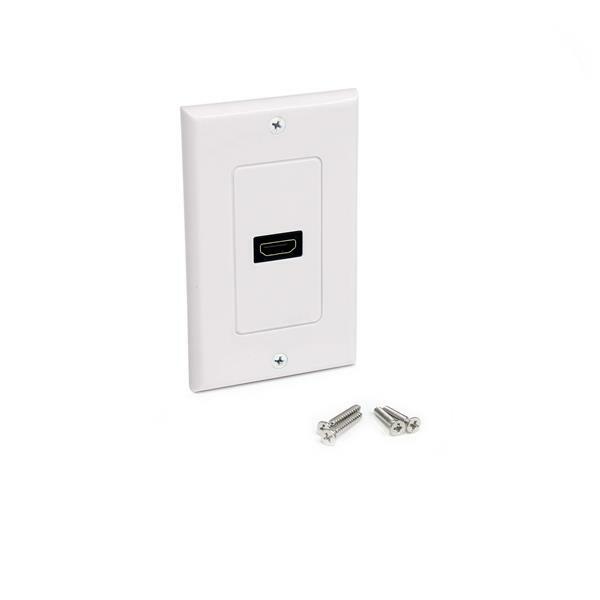 Ideal for A/V installers and integrators looking for an easy solution to extend HDMI connections in-wall. 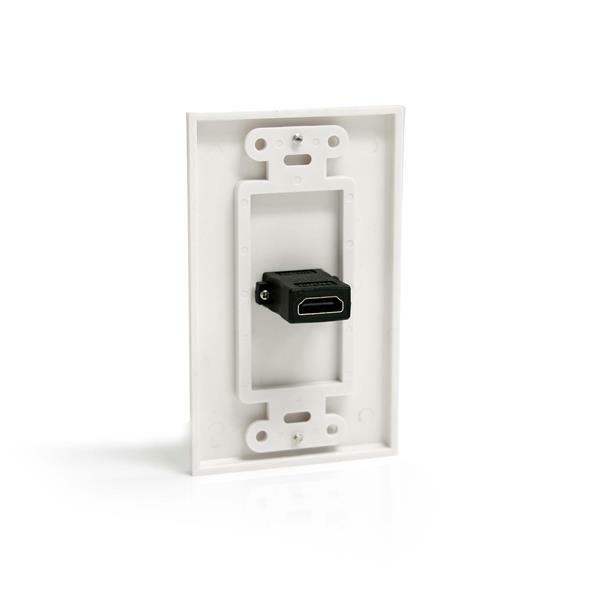 Add an in-wall VGA port, for neat, professional quality video installations.